In this guide we will help you to find the best yoga block that is perfect for you whether you are new to yoga and need it for stability or you are looking for one to deepen your poses and practice longer. The blocks featured here are perfect for every Yoga practitioner. In this buying guide, we have featured seven yoga blocks for you to consider. We are only going to focus on the cork and foam Yoga blocks as they are the most commonly purchased and used by most Yoga practitioners. Have a look at these blocks and find out what we love about each of them! Here is a feature overview of my 3 top rated Yoga blocks with full reviews and our buying guide below. This JBM cork Yoga block is 4” by 6” by 9” and weighs right around 2 pounds. It’s an all natural Yoga block the is environmentally friendly, strong enough to hold up against the most demanding poses and light enough to toss in your gym bag to take with you wherever your ready to practice some poses. The contoured edges make it ergonomical so it is easy to hold on to for carrying and stabilizing. This means you don’t have to worry about slipping, falling, or losing your balance because of your yoga block. Who wouldn’t be happy with a single eco-friendly Yoga block that comes with a bonus yoga strap? This block is easy to use and doesn’t slip or slide while using it either. 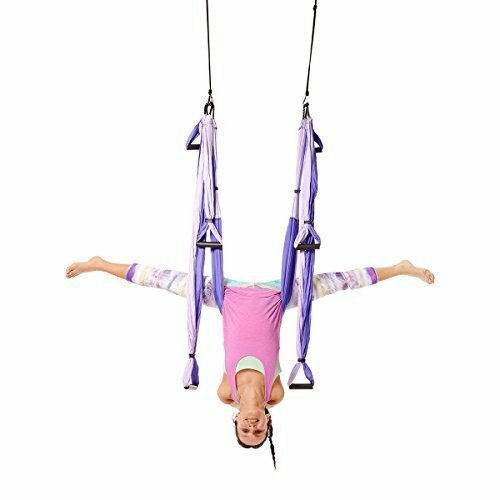 It will definitely assist you in your yoga routines. JBM offers a 100% money back guarantee if there are any problems with the yoga block or you are not completely satisfied with it. The Hugger Mugger Cork Yoga Block uses a finer grain of cork than that which is typically used in making yoga blocks which allows this block to be lighter than average. 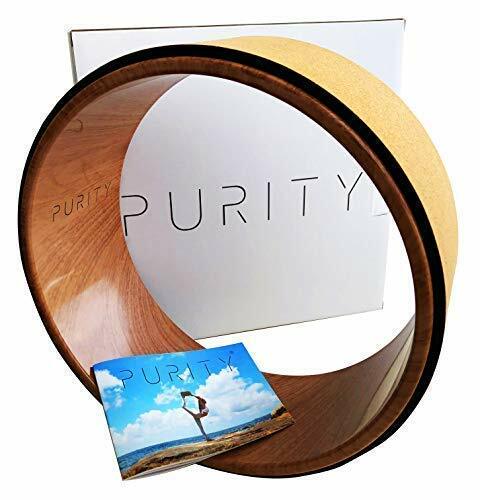 Weighing in at about a pound, with measurements of 9” by 5.5” by 3.5”, it is still sturdy enough to support weight and provide stability, while being easy to carry with you when you go to your yoga class. This is a high quality yoga block that is worth an extra buck or two for that higher quality. Having a lightweight, ergonomic yoga block is beneficial for several reasons. 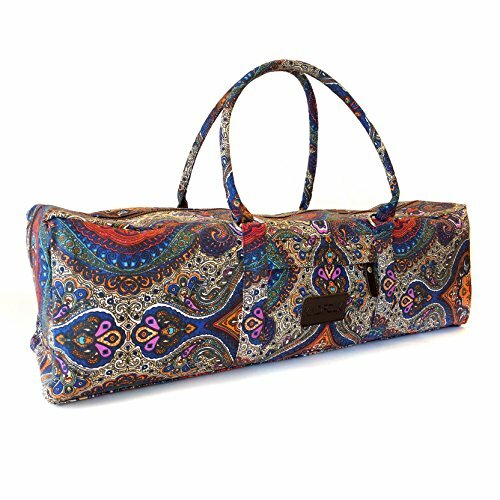 The easy to grip block is easy to move between poses and doesn’t weigh down your yoga bag. This block will allow you to do that while still giving you the size requirements of a traditional yoga block. Hugger Mugger provides a 30-day money back guarantee, cost of shipping not covered. These high-density cork yoga blocks are fully slip resistant and available in two sizes. They are eco-friendly and they even look eco-friendly because they have their natural cork/wood appearance. Weighing in at around 1 pound each, they are extremely lightweight for cork yoga blocks but still provide great stability. What’s a bit surprising is that you are getting 2 blocks for the price of one. You can choose either 9″x6″x3″ or 9″x6″x4″when you order. That’s basically the price of the cheaper foam ones for a comparable price when you think about it. The Peace Yoga block is definitely worth considering because of its price point and how well it holds up. Keep in mind that cork is not like solid wood and will eventually crumble unlike foam which is made up of a large piece of solid material. For how long these lasted, I was really quite surprised though. I liked that these were denser than many other cork blocks and stayed put while doing my routines. If you looking for inexpensive Yoga blocks, these SUESPORT foam yoga blocks are just the thing for you to help with your routines. For a budget price, you get two yoga blocks made from 4 pounds of high-density foam that provide excellent support and stability at a very inexpensive price. They are made from biodegradable, eco-friendly foam that is safe to use as well as strong and durable. I can easily see why these yoga blocks have a very high rating by other users. While using them, I had no issues with sliding or slipping. Plus, they were very comfortable to use as the foam gives just enough to be comfortable but not so much as they are not supportive. With a 100% money back guarantee, if you aren’t happy with the blocks, no problem. For a little bit more than the SUESPORT Yoga Blocks, you can get the Vega Yoga Foam Blocks. You get two foam yoga blocks PLUS a yoga strap. Made from standard high density foam with beveled edges to make it comfortable to hold on to while being sturdy. It was pretty obvious why others love these yoga blocks! These were very comfortable and I found that they were easy to move around while shifting from one pose to another but I also found that they stayed put when I needed them when actually in a pose. Very good combination. 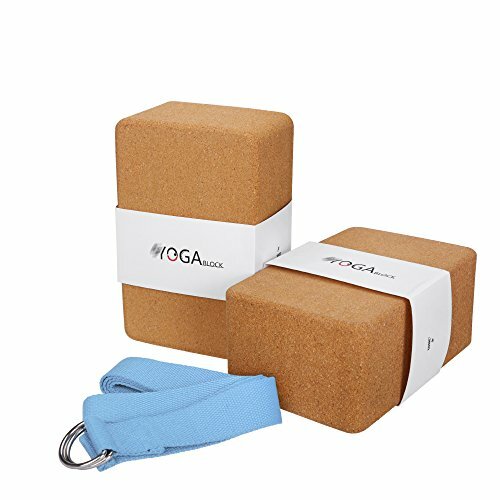 These are quality yoga blocks for a good price and with the included strap they are definitely worth your consideration. The Topyea blocks are made from recycled foam, so they are environmentally friendly. The blocks are made in the USA for those who prefer to buy American made products. Plus, it comes in a variety of different colors and combinations from a solid charcoal or red to seafoam green, white and gray. The blocks don’t have an odor that can sometimes come with foam products and they weigh around 2 pounds each. These are a little more expensive for a foam block considering you get just one block with your purchase but I found the block easy to use during my practice. The fun reminder to “practice on” that is engraved on the side of the block is nice as it is not just plain old boring block. This block comes with a lifetime warranty against manufacturer defects. Though there is only one yoga block included with your purchase of a Gaiam Yoga Block, you also get a 6-foot-long and 1.5-inch-wide yoga strap as well which is another great prop to help with your routines. 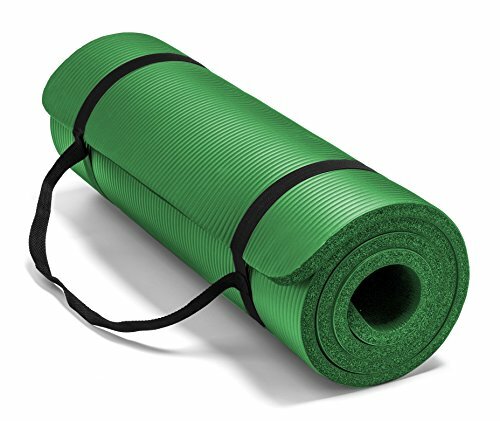 This yoga strap is great for helping to deepen your yoga experience and increase your flexibility. This block is very inexpensive considering you get a good quality yoga block that is made from a soft yet durable high density foam that is great for assisting with poses, increasing flexibility and anything else you can do while practicing your yoga routine. 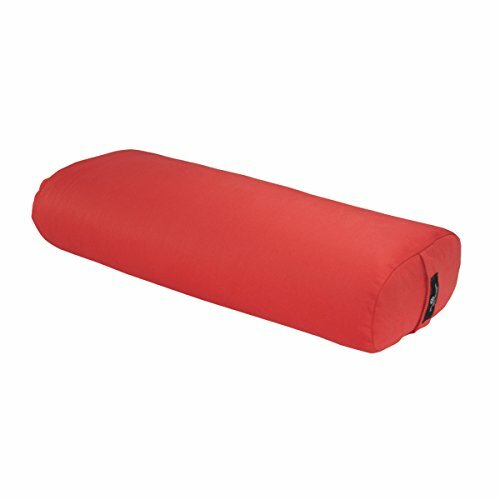 While using this yoga block, I found that the softer foam was very comfortable for many poses that required laying down or stretching while sitting. If I wanted to deepen my pose or not go as deep, I used the block to adjust my pose. Your purchase includes a one-year manufacturer’s warranty against any manufacturer defect. How Do You Use Yoga Blocks? Yoga blocks aren’t anything new to most avid yoga practitioners. In fact, yoga blocks and other props became popular back in the 1960s. Yoga blocks are basically pieces of sturdy foam or core that are used as a tool to dive deeper into the practices of yoga. Yoga blocks come in a variety of shapes, sizes and even different materials so that you can really get the most out of your yoga sessions. Yoga blocks are great for beginners because they can help you to balance and stabilize yourself as you begin to build up the ability to perform the poses on your own. Yoga blocks are also great for the more advanced practitioners because they can help you to push your body further into new and more challenging positions. Using yoga blocks can allow you to take your yoga sessions to the next level. There is nearly an endless supply of possibilities for ways to use your yoga block or blocks. If you are just getting started with yoga, you may want to consider using them for stability. If you are learning a new pose and need extra stability to help you hold the pose longer or even better the blocks can help. Since yoga blocks are built to be strong, they can be used to support your weight when you are executing a sitting or standing pose. They can also be used to support your head and neck when you are doing a laying down pose to help to prevent strain and injury to your neck and spine. Not only can they be used for stability or support but they can also be used to help you with your balance. This is especially great for learning new poses when you are still trying to figure out the technique required to properly perform the pose. Whether you are sitting, standing, or even squatting, you can have the yoga block to hold onto and provide you with a little more balance. Increasing your flexibility is another great use for yoga blocks. You can use the block to help you twist and pull your body into the poses that require a larger amount of flexibility. You can put them under your legs and back to help to stretch your muscles a little further. Over time, your flexibility can improve so that eventually, you won’t need the assistance of the yoga block. Finally, yoga blocks give you more time. They can’t actually add seconds or minutes to the clock but they can increase the amount of time that you can comfortably perform various poses. Making the poses slightly more comfortable allows you to perform them for longer periods of time. In performing the pose longer, you get a longer and deeper stretch, which helps to improve your flexibility. Longer time on each pose can also make your yoga sessions more relaxing and enjoyable. You can use your yoga block however you see fit. Whether you are a beginner who struggles with balance or you are advanced and you just want to dig deeper into your yoga practice, there is a yoga block that can be useful for you. If you are looking for some ways in which to use your yoga block, consider trying it with mountain pose, downward facing down or even inversions like peacock pose or scorpion pose. You won’t know how a yoga block could change your yoga sessions until you give one a try! Yoga blocks are generally pretty simple in design. They are typically a relatively small object cut into a standard shape and made out of a sturdy but usually lightweight material. But even in their simplicity, not all yoga blocks are created equal and there are a variety of features that you can choose from. Yoga blocks usually come in two sizes, small and large. Each size has its own dimensions. Smaller blocks are typically around 3 in. long, 6 in. wide and 9 in. high. Larger blocks basically add an extra inch in length, making them 4 in. long, 6 in. wide and 9 in. high. If your flexibility is more limited or you are taller, then you might want to consider the larger block as that extra inch can give you a little more support, especially when used with standing poses. Decide which size is right for your yoga needs or try both and see for yourself. As the name implies, typically a yoga block is shaped like a block, a rectangular block most of the time. But there are similar products on the market that are used like yoga blocks such as a yoga brick which still has the same block shape with holes in the middle. 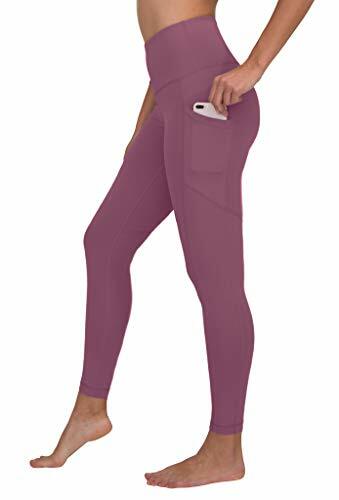 There is the yoga egg, which has rounded edges that make it look similar to an egg, as well as yoga wedges, and even yoga arches to provide back support. Though the rectangular yoga block is standard, it is important to know that there are other options out there as well. Yoga blocks are made of three standard materials, wood, cork, and foam. Wood – Is the least common of the three materials because it tends to be the most expensive and slightly heavier so it isn’t as easy to carry with you to classes at the yoga studio. But it is the most environmentally friendly option as well as the sturdiest. If you are buying for your home or your personal studio and wood yoga blocks fit into your budget, the extra sturdiness could definitely be worth the few extra bucks. Cork – If you are still looking to be friendly to the earth, you should consider a cork yoga block. Yoga blocks made from dense cork aren’t as sturdy as wood but still provide good stability with a much cheaper price tag than that attached to the wood yoga blocks. Foam – Yoga blocks are the budget friendly yoga block. If you just can’t squeeze enough out of your budget to afford cork or wood, foam yoga blocks are still a great option. 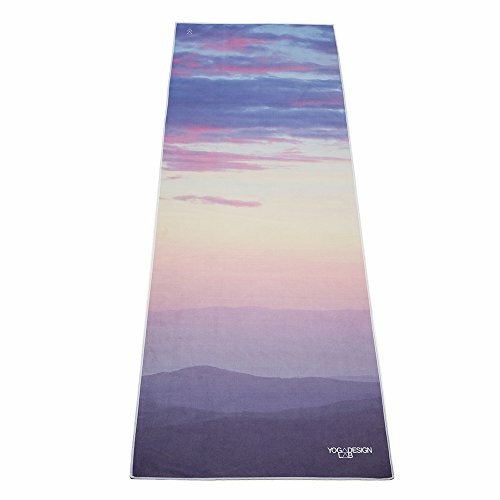 They are super lightweight, making them very easy to just toss into your yoga bag and carry to the studio, the park, the beach or wherever you go for a fun and relaxing yoga session. There are a lot of great yoga blocks on the market with colors, sizes, shapes, and prices for everyone on whatever your budget may be. Deciding what you are looking for, how much you are willing to pay and then beginning to shop around is a good idea. ut as you have seen in this guide, you don’t have to pay a lot of money for a good yoga block. Finding a good product, a brand that you can trust like those featured here and giving the products a try is the best way to find what you are looking for. Many of these Yoga blocks include money back guarantees so if you aren’t completely happy, you can simply send it back for a full refund. Whichever yoga block you decide on, you won’t regret venturing deeper into the world of yoga which leads to more flexibility and a better and healthier you! Happy shopping! I hope this guide was helpful for finding the best Yoga block to fit your needs. If you want to comment or recommend a block I didn’t include, please use my contact form to get in touch. We found the YogaKing Lightweight Yoga Block to have the best overall performance. It provided support while being comfortable at the same time.